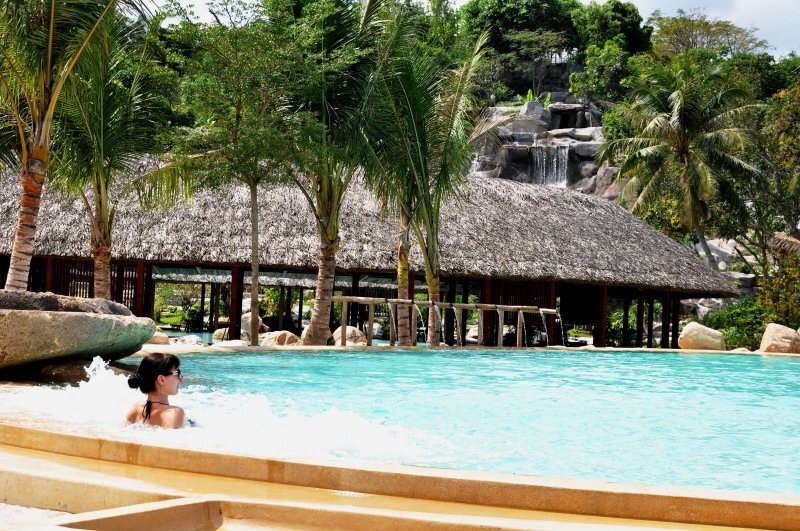 Perhaps it’s a generalisation but Vietnamese people do have smooth, young-looking skin. 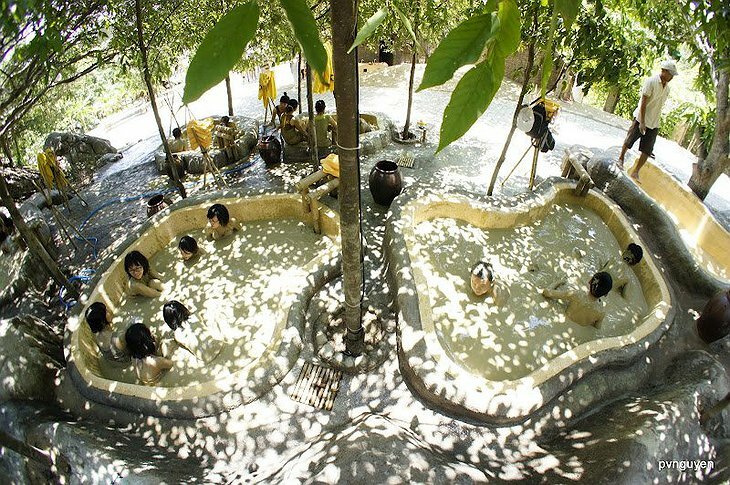 Perhaps it is because they know the secrets of the mudbath. 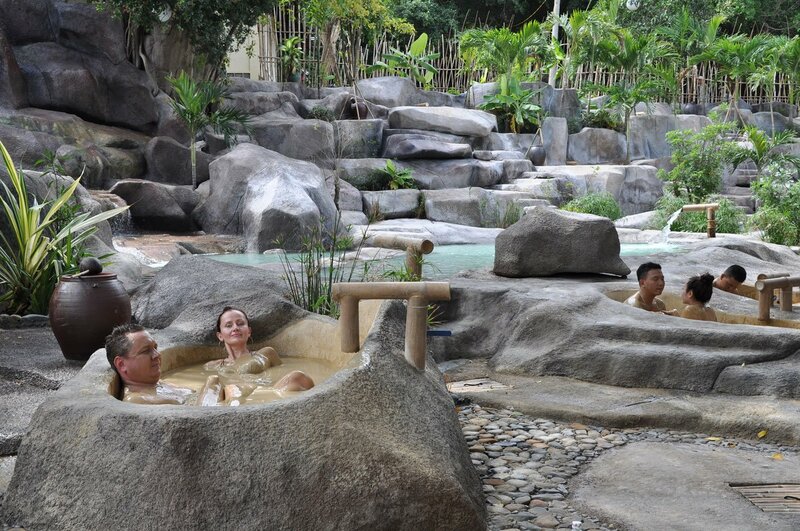 Scientists know that that I-Resort’s mudbaths have a high Bromine and mineral content and some say soaking in it has magically rejuvenating effects. 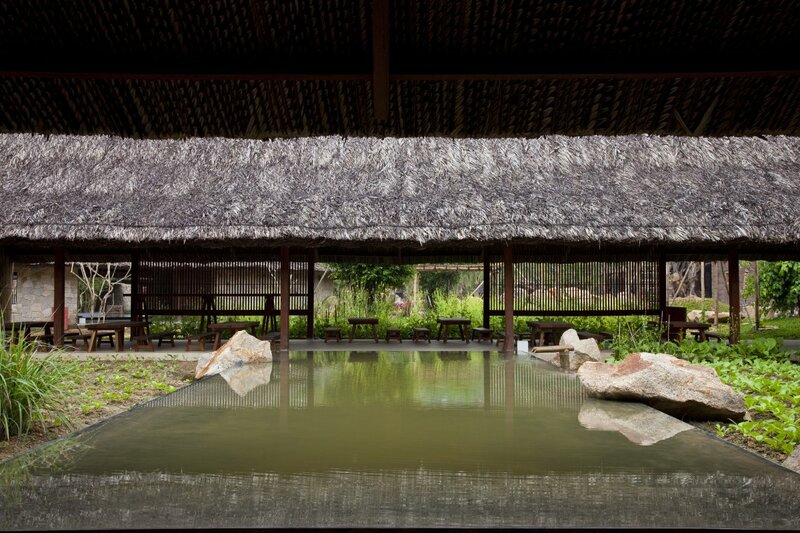 It is claimed to be effective against all skin disorders and arthritis. 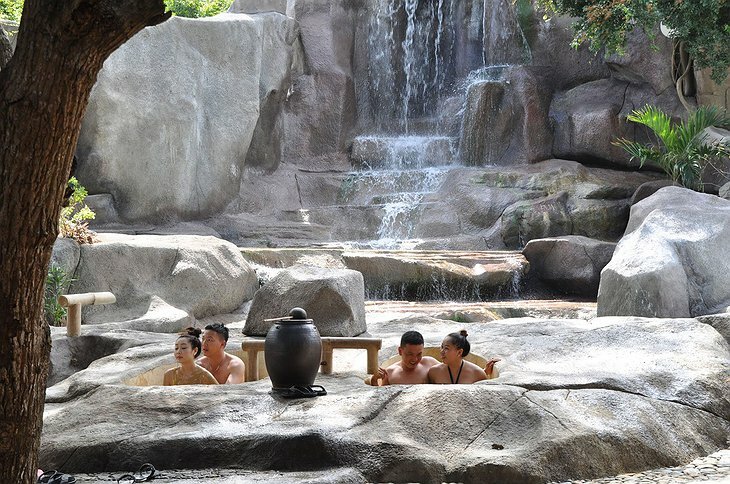 After bathing in the mud you can move on the mineral water baths, hot springs and then take a massage in the beautiful spa area. 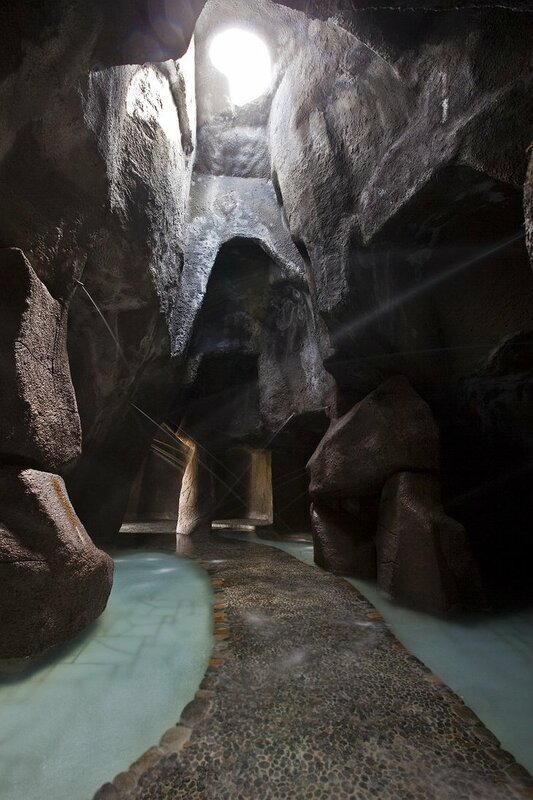 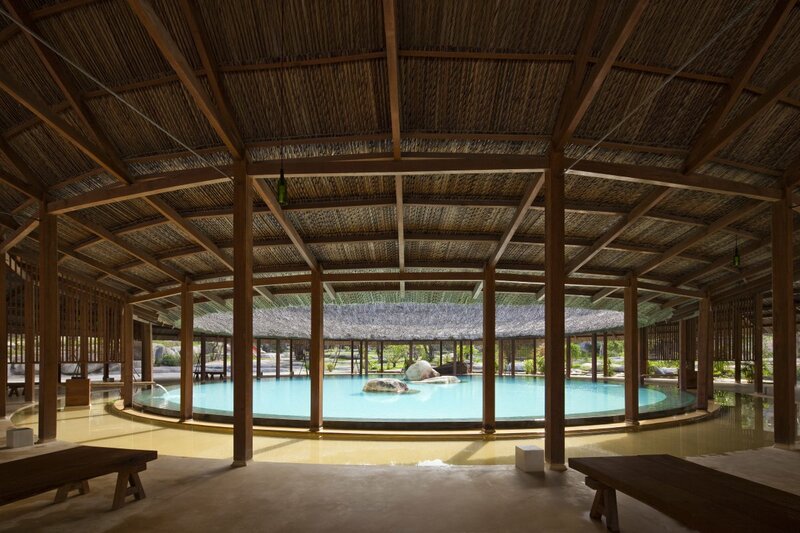 The mineral-packed mud is also used for a number of beauty treatments, facials and scrubs. 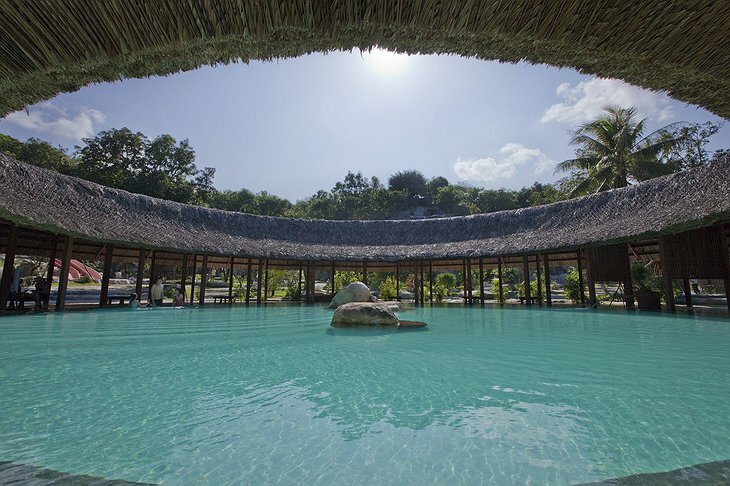 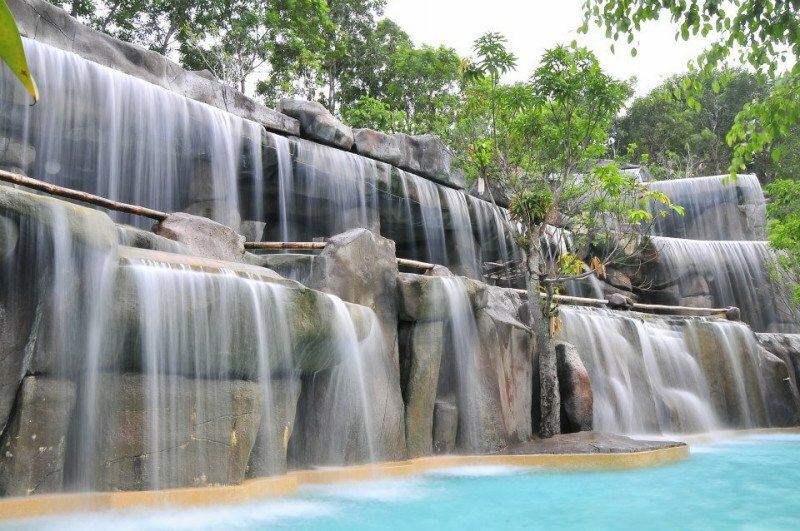 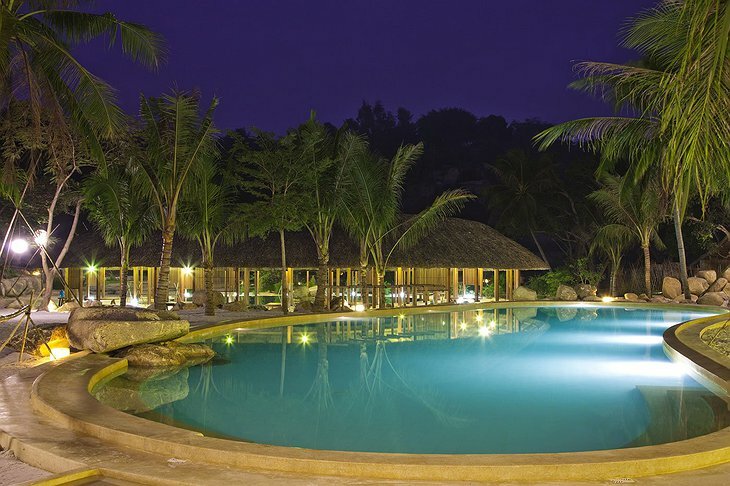 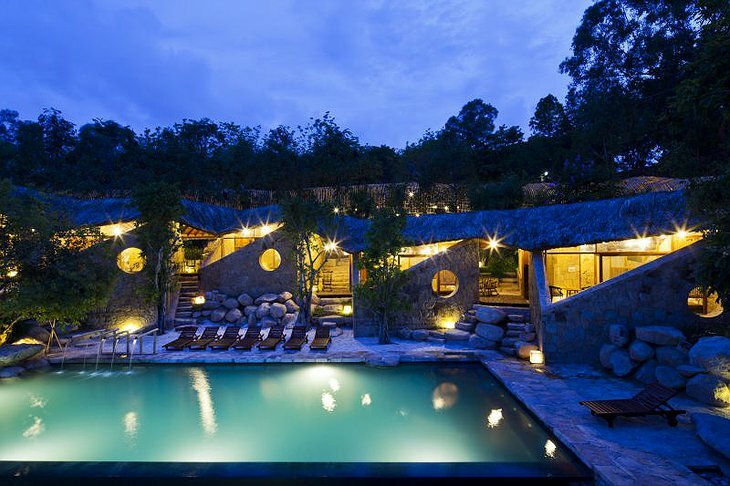 The swimming pool is set against the sunny mountain scenery with fresh snacks served from thatched huts. 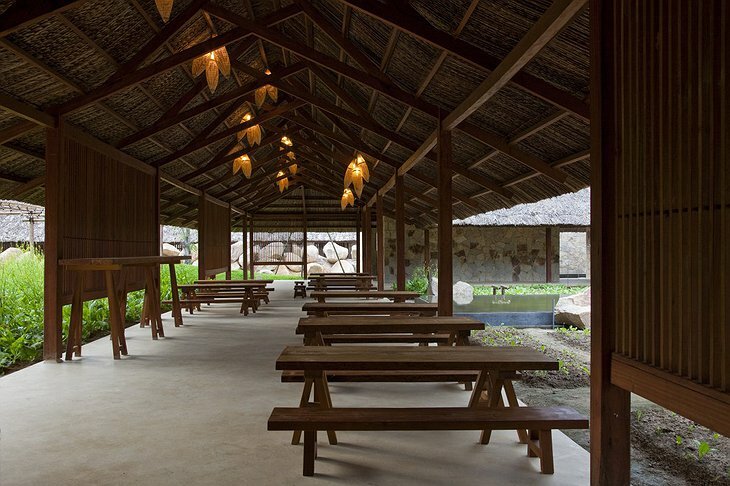 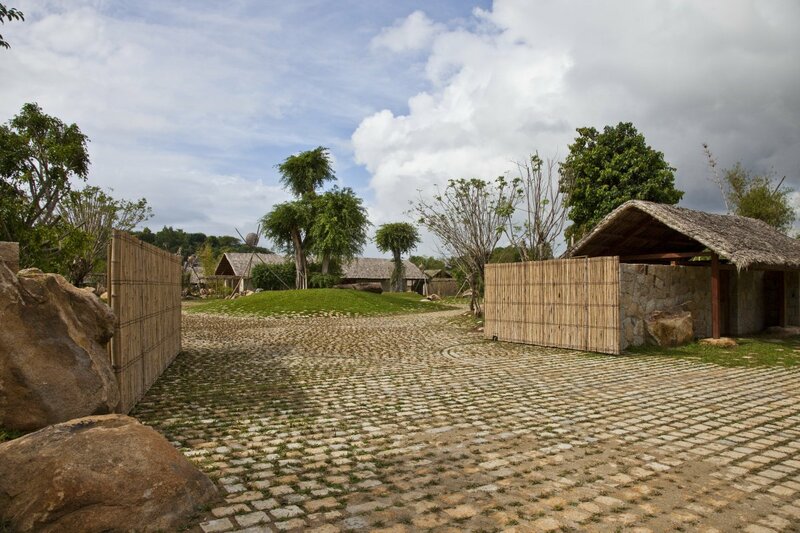 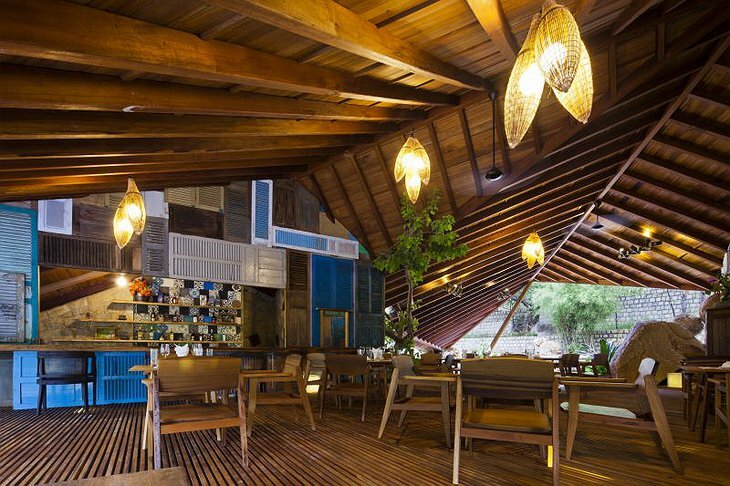 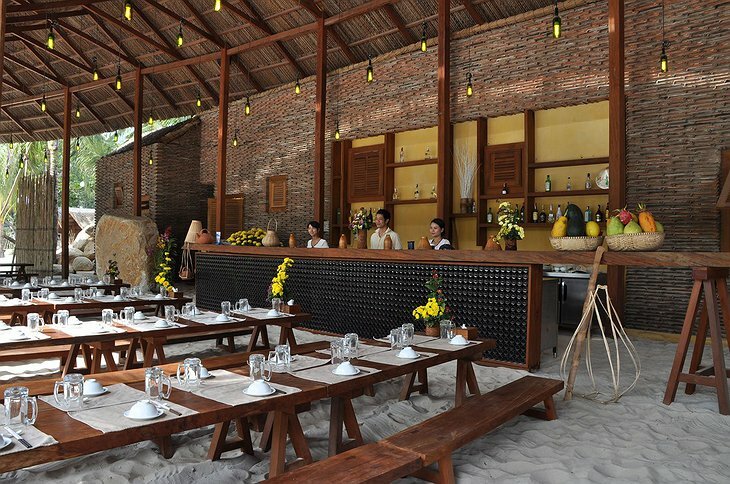 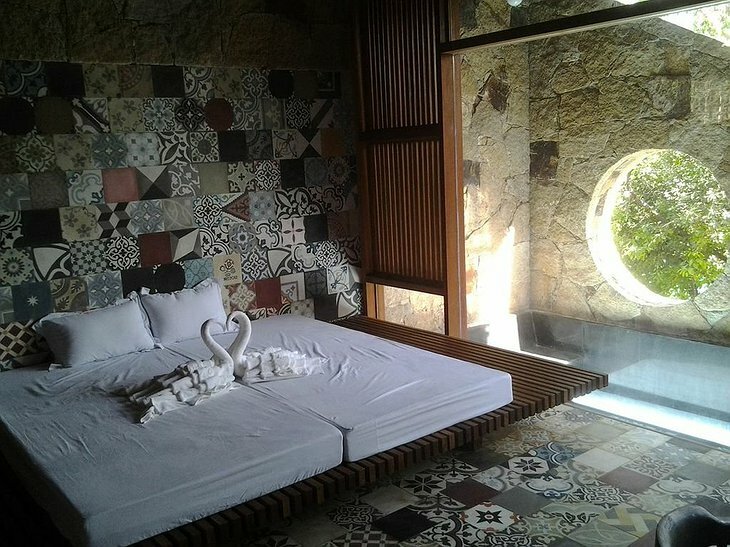 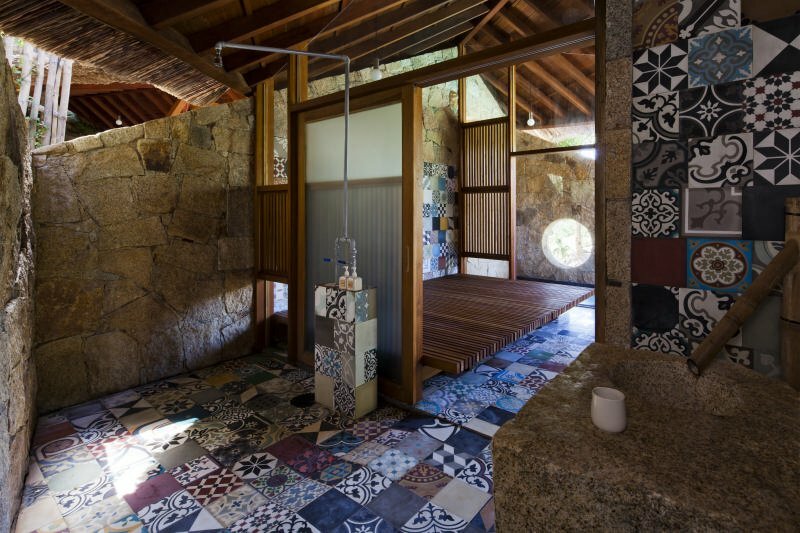 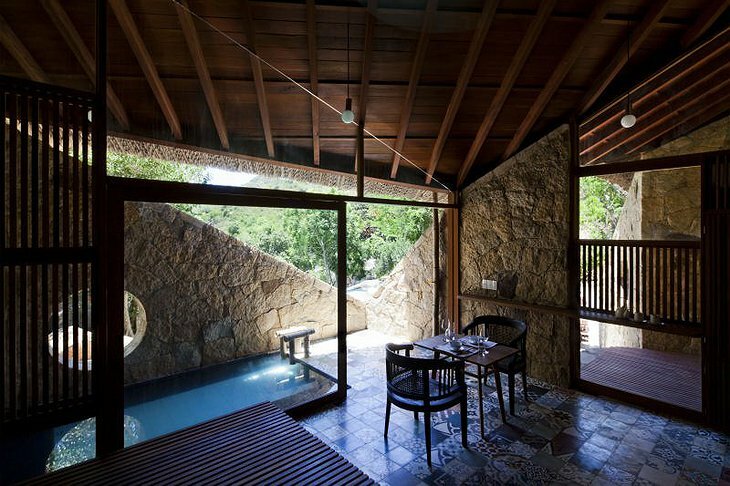 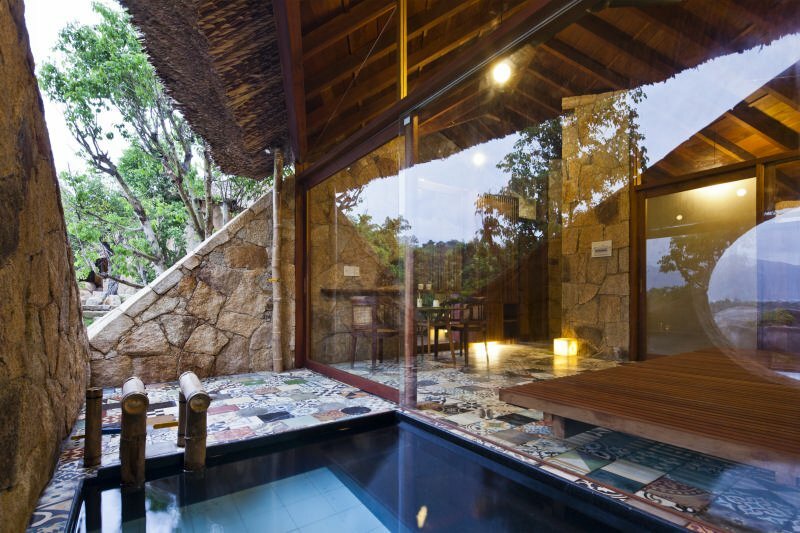 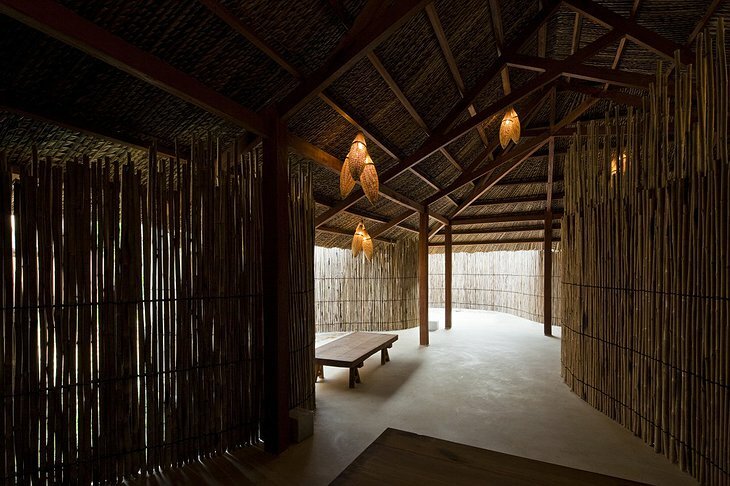 The architects used local materials such as rock, wood and coconut leaf to make the buildings and local flowers and fauna to soften the environment. 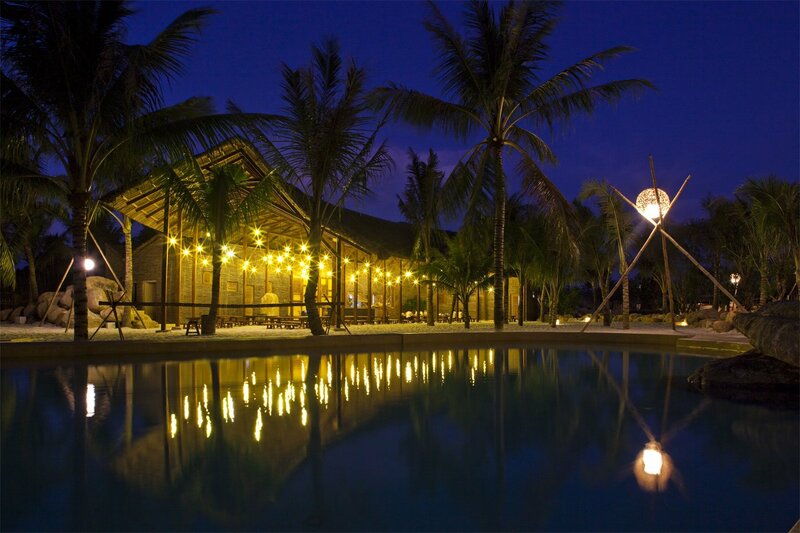 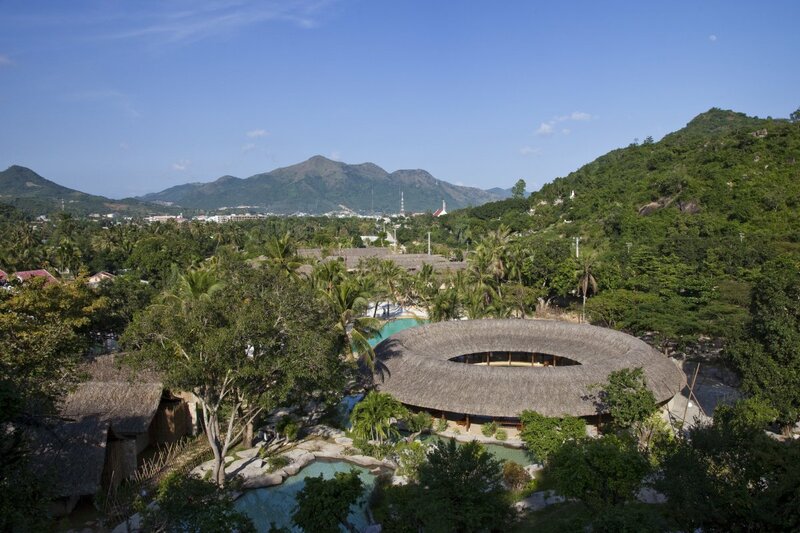 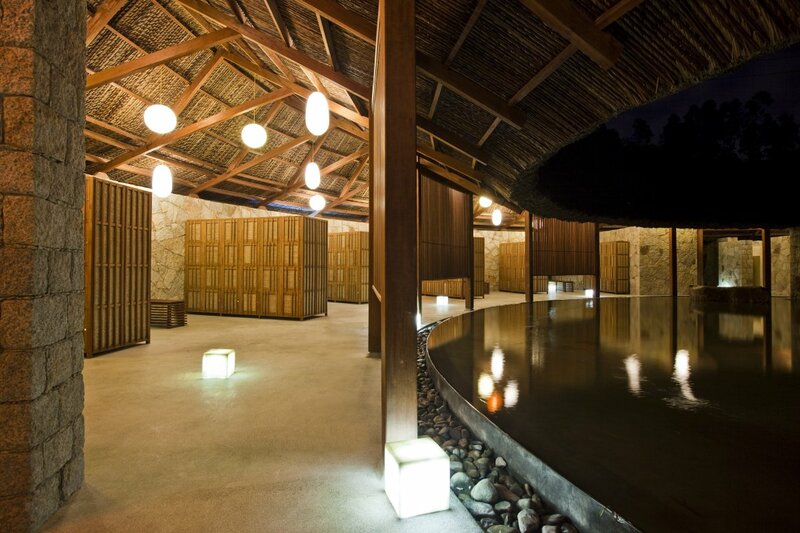 The overall effect is so good the I-Resort was honored by the Asian Architecture Award 2013.